Join Comstor for the remaining three sessions of this series featuring Cisco’s Unified Communication offering. You will also learn about Comstor Services and Evolution progression program, which is designed to help you grow a profitable Cisco collaboration business. For additional information on this webinar series or Cisco collaboration, please contact Gavin Critchlow, Comstor Business Development for Cisco Collaboration, please at gavincr@comstor-na.com or 303-566-2650. Are VARs Ready for AI, IoT & Cybersecurity Opportunities? Each year, the Editors of EDGE360 analyze the potential public sector trends that will impact the channel. At the recent Comstor Executive Federal Summit, speakers from Comstor, SYNNEX, Cisco, and Federal Budget IQ all touched on the emerging trends and growing opportunities that may impact Value-Added Resellers (VARs) in the near future. Cybersecurity, AI, and IoT seemed to top the lists of opportunities. To further explore these trends, the EDGE360 team consulted content from the experts at Cisco. Do you qualify for Comstor’s exclusive Cisco data center and security training? We have a limit of 15 seats available – so please contact us as soon as possible to determine if you can join us from May 7 to 9 in Washington, DC. Contact us today to determine if you qualify to participate in this unique event. We can be reached at edgeprograms@comstor-na.com or 303-566-2672. Interested in learning how to build a better network and a stronger cloud practice? 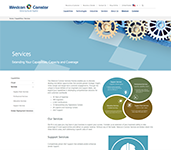 Then join Comstor on the first and third Wednesday of every month for Meraki360 training. Meraki360 is a half-day training program designed to get reseller SEs up to speed on Cisco Meraki. You’ll learn how to configure and sell the complete end-to-end solutions, including security, switching, wireless, and mobile device management. Questions? 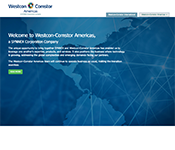 Ezequiel Rios, Meraki – Business Development at 303-222-4744 or ezequielr@comstor-na.com. Comstor Progression Programs offer the enablement that partners need to support Cisco architectures. Programs currently available through Comstor focus on security, enterprise networking and collaboration. Comstor Security Initiative (CSI) is the industry’s most comprehensive security practice development program. Comstor Surge focuses on Cisco DNA, network automation, solutions, and partner success. Comstor Evolution focuses on integrating the Cisco collaboration into your portfolio.